These days people have become very cautious and particular about their homes and offices, while selecting the material used for improvement of the interiors. The trend to groom your housing and offices is a growing market and something that never goes out of style. Doors not only beautify your home but are also responsible for the security of your property. There are a number of different types of doors available in the market. 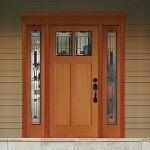 Fiberglass doors, metal doors, wood doors, PVC doors (Polyvinyl Chloride, commonly known as plastic doors) are some of the doors that are quite popular. However, steel security doors are unmatched when it comes to sturdiness, longevity and security. These doors have gained a vast popularity in the market. People are very inclined towards these doors for businesses as well as homes. This is not a recent occurrence. Steel doors have been the first preference with people for homes and commercial purposes. 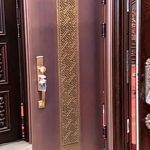 There is a lot of competition in this line of business because of the large number of varieties of doors available and the vast opportunities to flourish and grow. Security steel doors are doors are made up of very strong steel. Since they are made up of such strong steel, they are very durable. Hence, these doors are preferred in the exterior of a house or a commercial venue. There are primarily two types of steel doors. One is made up of very strong steel and the other is made of comparatively lighter steel. Both of them have their own advantages. Strong steel doors are generally used as the main gate and are used less for the interiors. Lighter steel doors are generally used in the interiors of private residences and commercial places. Since these doors are light they can be opened and closed easily without too much effort. As the name suggests, security steel doors are doors that are mainly used to provide security. Security management is extremely essential and is something you cannot take for granted. A door manufacturer should not compromise on security. The manufacturers major objective should be to ensure the security of the area and longevity of the doors. A lot depends on the steel used in these doors. The steel should be very strong and durable and that is something which the manufacturer needs to take care of. If you want to build a good reputation in this sector, one just cannot afford to use low quality steel. The steel should be of high quality. It should be strong, and it should also be light. No business or person would like to have a door which is very heavy. This is something the manufacturers need to keep in mind. The type of locking system is also an important factor. 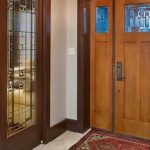 With the advancement of technology, there has been immense improvement in the locking systems used in doors. Modern locking systems are more dependable than older ones. These days, one lock is not sufficient. So, the door should also have an option for a secondary lock. While designing the door, one can keep the secondary lock as an option. Like humans need food, metals need lubrication. If they are not lubricated properly, then they become hard to use. Therefore, before selling the product, proper lubrication should be done. Oiling and greasing are an important component of security steel door management. How Should the Packaging be Done? A manufacturer produces hundreds of security steel doors. These doors are kept in inventory for a very long time. Therefore, when these doors are released to be delivered to business units or people, it becomes difficult to classify them. Therefore, packaging of security steel door is one of the things that you cannot ignore. If the packaging is done right, these doors can be classified and kept in a specific order. This can lessen the burden for the manufacturer, the seller and even the buyer. When a product is kept in inventory, there are normal chances of wear and tear or maybe some decline in quality. As a manufacturer or seller, you need to ensure that the quality stays the same as it was at the time of production, when it reaches the final customer. Therefore, packaging of the door is very important. A simplified packaging can include two layers of packing. The outer layer can be of cardboard material. The inner layer can be of a thinner material such as bubble wrap, so that it is easy to transport from one place to another. The door industry has huge scope and opportunities to flourish. It is a business which will never run out of steam and options and opportunities. There are many types of doors, but metal doors are generally used as main gates or exterior gates. Security steel doors have an extensive demand amongst the final consumers. There are a few key points that need to be considered while managing a business related to security steel doors. One needs to keep in mind that the quality of steel can never be compromised upon, if a business is to run for long. The locking system should be new and modern; it should be updated with the latest developments and it should be something that gives the assurance of safety to the buyer. Oiling, greasing and packaging should be done in the correct manner. If the manufacturer and seller take care of these key points, they will inspire feelings of trust in the buyer and will have a customer for life.